Originally constructed in the early 1920’s, Princes House is currently a mixed use building comprising approximately 4,281.6 sqm of office and retail accommodation arranged over basement, ground and eight upper floors. The building is of steel frame construction with a stone façade incorporating metal framed windows. As it is a building of merit in a conservation area, particular attention had to be paid to enhancing the quality of the existing external façade and internal light wells. 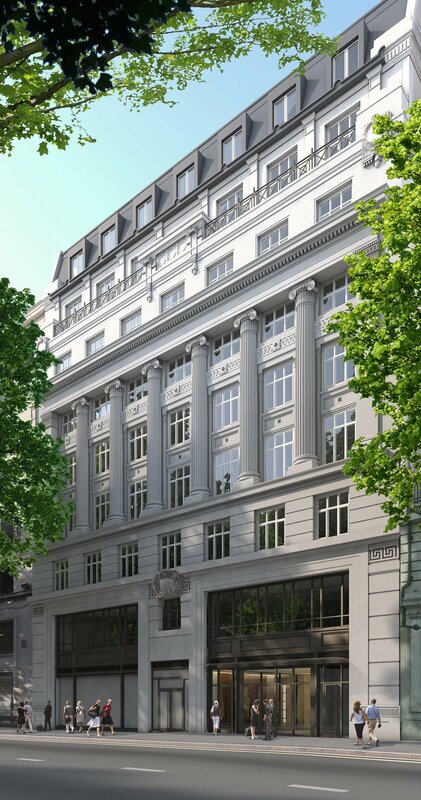 The proposal is to provide 34 Serviced Apartments and 20 Private Residential Apartments together with a ground floor reception lobby and basement facilities for both the residents and the general public.